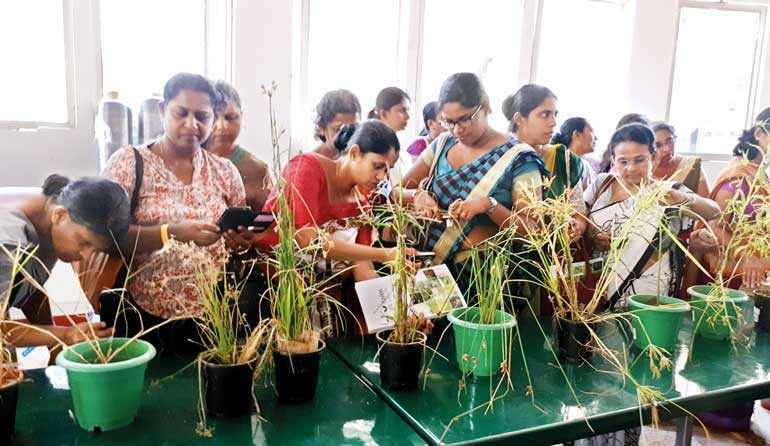 In September 2018, at the request of National Institute of Education, Hayleys Agriculture Training School; a training institution registered under the Tertiary and Vocational Education Commission (TVEC), imparted the best global practices of agriculture and the latest technologies to 60 ‘A’ Level Agriculture Science Teachers. The Trainers from Hayleys Agriculture have received local and international training in the field of modern agriculture practices. These trainers, who have gained a wealth of experience by visiting overseas production facilities of world renowned R & D companies and witnessing best practices in crop management in sustainable commercial farming globally,shared their own experiences with the teachers. The ‘A’ Level teachers who attended the program from the Western and North Central Provinces not only received a theoretical knowledge of these technologies but were also able to touch and feel the products, and experience first-hand some of the innovative technologies that the company has introduced to Sri Lanka. They were able to operate paddy transplanters, tractors, sprayers, combine harvesters and paddy threshers, tea harvesters, drones, drip irrigation systems and milking machines. Classroom training with audio visual aids showcasing world renowned multinational companies such as Bayer Crop Science, DuPont, Syngenta andKubota to name a few were included in the training program. Hayleys Agriculture has a track record of over 50 years working closely with world renowned companies involved in scientific research and has introduced the safest chemistries and new cutting edge technologies to the Sri Lankan farmer. The Company takes pride in divulging knowledge about best practices to the Farmer to make agriculture more sustainable. Speaking to the Media, Hayleys Agriculture Holdings Head of Human Resource Management Vijitha Kumara stated that the Company has a large agriculture field force engaged in extension services for providing solutions to the farmer for crop health and optimum crop yields, and for educating the farmer on the importance to follow label instructions on safety with due consideration to the environment. The prospect of reaching out to schools to encourage the next generation who would take on agriculture truly stimulates the enthusiasm of the Trainers at Hayleys Agriculture. “We want the next generation to think positively towards engaging in agriculture. We want them to know that we can find the solutions to grow our food economically and efficiently while preserving the goodness of the crop using the best in class growing and harvesting practices. 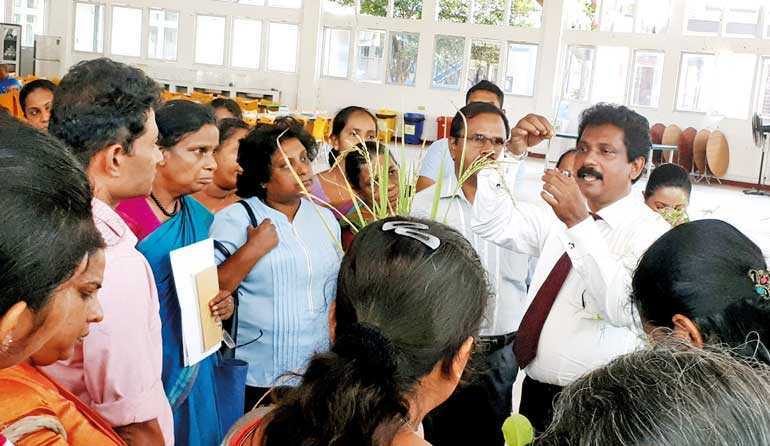 Involvement in Agriculture should be seen as an exciting prospect holding promise for a better future and that is why we want agriculture education to make students believe that technology can positively transform Agriculture in Sri Lanka to an exciting industry to be in,” said Kumara. Approximately two million people or nearly one-fourth of the workforce, are still confined in the agriculture sector, which contributes just a mere seven percent to GDP. The key problem of the Sri Lankan agriculture sector is that too many people within the agriculture sector produce too little. As a result,the income of the farmer continues to be low, thus constraining their bargaining power in the market. Touching on this issue, Kumara had this to offer:“We have to keep pace with the rapid development in Agriculture sector in the world which is the only thing that would ensure the food security of Sri Lanka.” Training programs of this nature will ultimately transfer knowledge to the next generation of agriculturalists who would transform food production in Sri Lanka. The teachers who attended the training sessions stated that the training program was informative and will help them in encouraging students to make a career in agriculture. “This is what the country needs. We need to believe in agriculture at a time when rural youth is moving away from agriculture. We have to start from the school level,” one of the teachers who attended the training session stated.